Carondelet was founded in 1767 by Clement DeLore de Treget— native of France—at the base of what is now Elwood Street near the river. 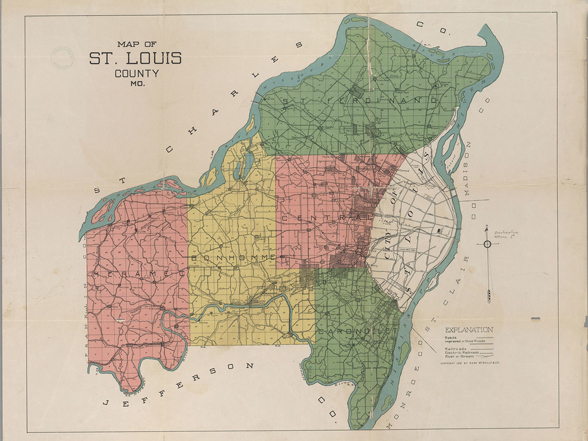 The village proper originally laid south from Bellerive Park towards the River des Peres, In 1832, Carondelet was incorporated as a town by the County Court. Its town hall was at Bowen Street & Broadway with a large elm as a ‘meeting tree’ in the yard. Well into the 1840s, French-Creole was the preferred language of Carondelet, and French customs prevailed. However, by the late 1840s German families began to settle in the area. Initially, they worked in the limestone quarries—also using this stone to build their homes (quite a few of which still survive). By 1850, nearly half of Carondelet was German. In 1855, the railroad came to Carondelet, with full railroad service starting in 1858. The St. Louis and Iron Mountain Railroad ran iron ore to the iron works in Carondelet and passenger service linked to greater Saint Louis. Also at this time, soldier-turned-farmer Ulysses S. Grant delivered firewood to Carondelet residents. During the Civil War, Union “ironclad” warships were built at Carondelet. James Eads operated the Eads’ Union Marine Works, and building many vessels including the “Carondelet” and “Louisville”. Mr. Eads also designed and built the Eads Bridge that spans the Mississippi. 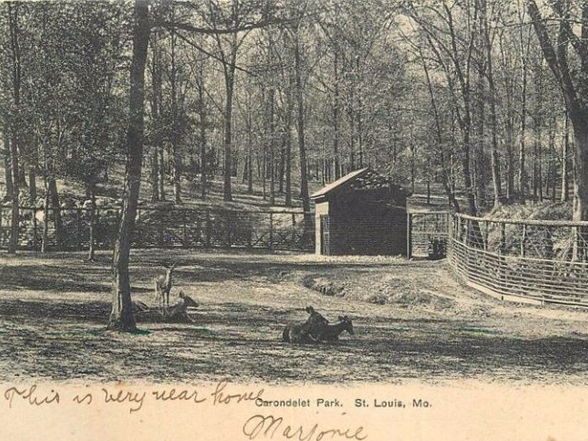 Carondelet Park officially opened on July 4, 1876. In 1873, Susan Blow founded the first continuous public school kindergarten in the United States at the Des Peres School in Carondelet (the school building is now the home of the Carondelet Historical Society). In the late 1800’s, prosperity continued: the Carondelet branch of the St. Louis Library opened in 1884, and new business buildings were constructed. New homes of the Romanesque style were built and electric streetcars were added as well, connecting Carondelet efficiently to downtown St. Louis. The new century brought more improvements to Carondelet. 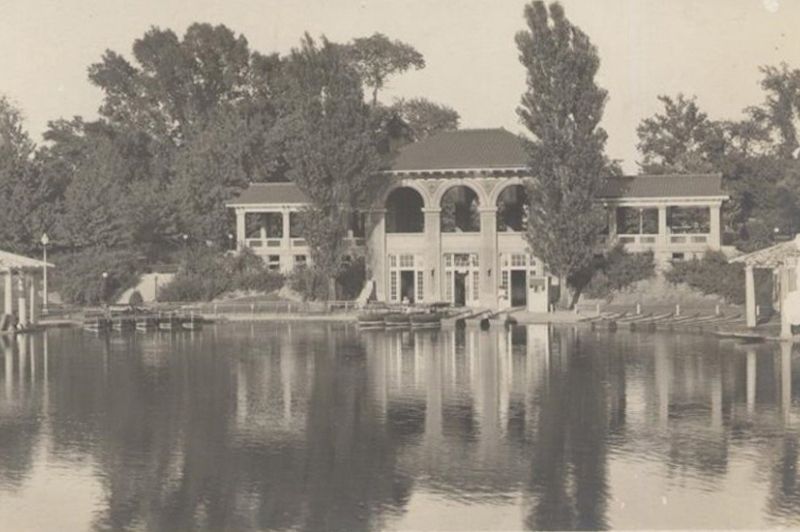 In 1908, both the present library and Bellerive Park—with its view of the Mississippi River—were completed. Saint Anthony’s Church was built in 1910 with its twin steeples making an obvious landmark. Also during this time, the Holly Hills subdivision was laid out, and the first building permit issued in 1926. It’s goal was to mirror the opulence of both Hollywood and Beverly Hills—this area continues to be one of the most beautiful in Carondelet. The Great Depression hit Carondelet gradually; while many area businesses closed, several—dime stores, diners, and candy shops—held on. World War II ended the depression for Carondelet as factories were hiring for steel workers, sewing machine operators, and the assembly lines. Over 300 men from Carondelet served in the war. After the war, the Carondelet area continued to expand and add homes. Harry Keough, a Carondelet native, won soccer fame in the 1950 World Cup. And in 1953, Raymond Tucker of Carondelet was elected mayor of St. Louis. 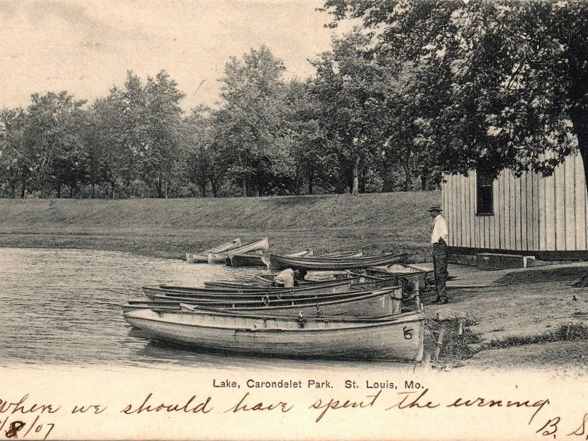 The Carondelet Historical Society, founded in 1966, has kept most of Carondelet’s history alive. In 1981 the Historical Society bought the Des Peres School and turned it into a historical center complete with a restoration of Susan Blow’s 1873 classroom. The Carondelet Community Betterment Federation was founded in 1973 and has aided the elderly in maintaining their homes. And in 1985 the South Broadway Merchants Association opened with the goal of attracting new businesses. Carondelet begins the 21st Century with about 11,000 citizens and one of the lowest crime rates in the city. It has a very small town feel, and is beginning to be seen as a favored place to live.